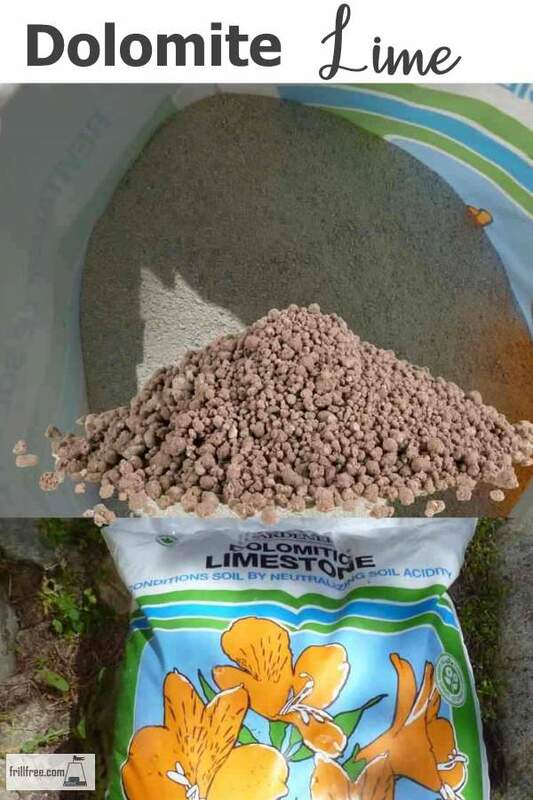 Dolomite Lime is one of the most useful of products. Unlike Hydrated Lime, it's not caustic, doesn't burn the plants, and is almost limitless in its uses. It can be used to give crops like tomatoes a calcium boost, so important for preventing blossom end rot. Add a handful to each planting hole or mix it into the soil before planting. Brassicas, members of the cabbage family, require an alkaline soil to prevent clubroot and some of their other diseases. Many crops benefit from a good sprinkling to change an acid soil to something that they can actually access nutrients from, depending on your soil type. In places where there are lots of coniferous trees (Douglas Fir, Pine and others) the soil will always be on the acid side, due to the needles falling from the trees. In most cases, even grass will have a hard time growing beneath cone bearing trees, but a high dosage of Dolomite Lime will buffer the pH of the soil, making it possible to grow a crop (or a lawn) that prefers a higher pH. The way it acts upon the nutrients in the soil is that it makes it possible for plants to take them up into the roots. Otherwise, it doesn't matter how much fertilizer you put on the plant, if it can't absorb them because the pH is too low. If you're using the deep litter system in your chicken coop, it's essential to sprinkle Dolomite Lime on the litter and scratch it in, to prevent ammonia from building up in the acidic droppings. This also helps when you clean the pen out to compost it. The material is safer to handle, and also partially broken down before you even get it to the compost bin. Dolomite Lime is often found in extremely powdery form. This is what I prefer, but some formulations are more granular, making it easier to handle in a garden situation. Check this before you buy, and decide which will be easier for you. It must be kept dry in storage, or it will clump. Mix some into peat based potting soil to buffer the acidity - it takes a lot of Dolomite Lime to make a difference. When I went to Fraser Valley College for my Ornamental Horticulture certificate, I was assigned to do an experiment to determine how much lime would change the pH of straight peat moss - it was astonishing how much I had to add!